You can’t fault the logic behind Beware the Slenderman. At a time when true crime documentaries like Making the Murderer and O.J: Made in America are hitting the headlines and becoming huge talking points, the opportunity to tell another, fairly similar style story is all too tempting. Once you add a pop-culture, urban-horror creation then you have people’s interest. The only issue is that only half of this story is interesting and it isn’t the half the documentary primarily focuses on. 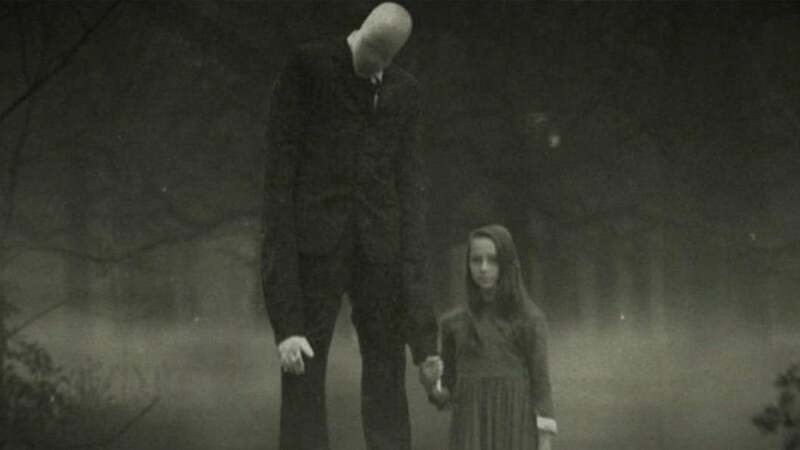 The story of The Slenderman, the culture and lore behind him is a fascinating aspect of the documentary. It is told very well here and manages to send chills and even scare in some places without intending to be a horror movie. It is interesting how an internet creation can take on such a life of it’s own and the fanbase and obsession behind this creation is worthy of it’s own documentary. The movie isn’t about this though. The obsessions is definitely part of the story but this film is primarily about two girls who stab and attempt to kill one of their friends so they can “be close to Slenderman.” It is a movie about obsession, how internet pop-culture can get out of hand and in a very slight way, it is a look at mental health. Unfortunately, it doesn’t do any of that very effectively. The main issue is that these two girls are not very likable or interesting. Once you’ve gotten past the story of their crime, there is little left to really hold the attention. You know these girls are guilty because some fascinating taped police interviews tell you as much, so what is left to really investigate and unpick? A large part of this story is focused on their childhood and their families. The access to the families, their court room tapes and the aforementioned interviews is impressive but it isn’t enough to make this work effectively. The film is focusing on the reasons they did what they did and how they came to believe in a clearly fictional character. All of this would be interesting had the subjects been someone else. The story feels too shallow and these two girls don’t have enough depth to their case to make this work. The documentary also tries to follow the same pattern as Making the Murderer by having no narration or voice-over helping to tell the story. Making the Murderer just about got away with that but Beware the Slenderman struggles to make this work and in a story that doesn’t have enough to keep an audience interested, narration to help make people care about your subjects would be helpful. Overall, Beware the Slenderman doesn’t live up to it’s promise. If you want a film about the fairly new urban horror creation then you will be serviced but crave more. Instead what you will get is a poor court-drama which has promise but never lives up to what it could have delivered.